MJR! Adding Sentry Key Immobilizer - MJR! There’s been a lot of talk of Jeep theft on the Forums section of MJR. While we already have a dealer installed alarm on the Jeep, we’re really bad about setting it. Then if we set it, I’ll be crawling around the Jeep and it will go off. We never really leave anything of value in the Jeep so I decided to add the factory Sentry Key Immobilizer, an anti-theft device that is always “on.” The Sentry key can be added to any Jeep, 98 and newer. You can tell if you have the feature by the color of your key. Grey is the Sentry key while the black keys are non-Sentry. There are a couple of key benefits to the Sentry key system. First off, as already mentioned, it’s always on. Nothing to set, nothing to forget to set. Secondly, it CAN NOT be defeated. 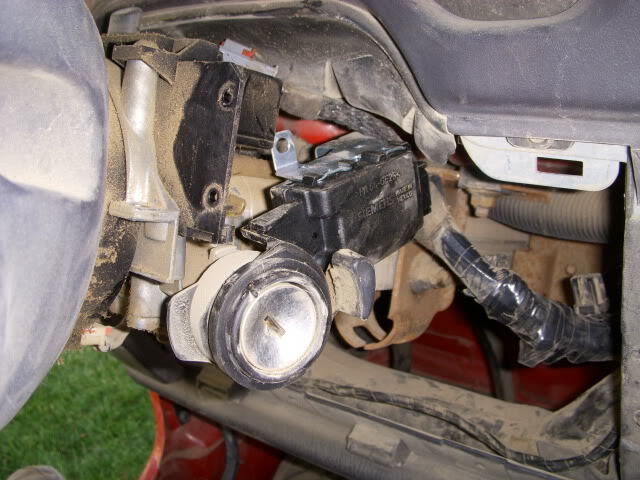 If a thief tries to defeat the system, either by removing the module or the key cylinder, the system will not let the Jeep run for longer then about 3 seconds. 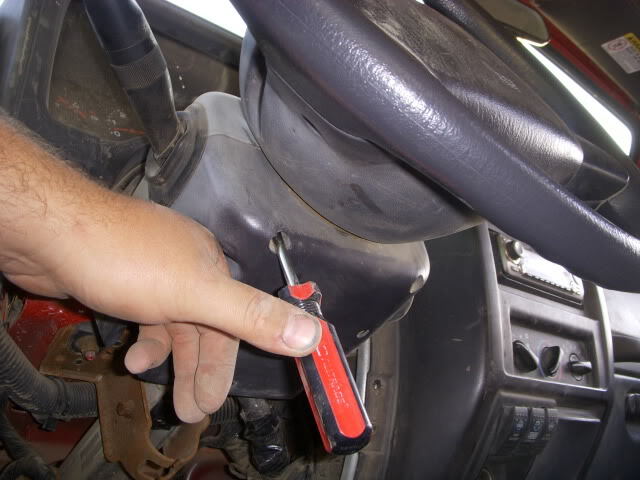 If they try starting the vehicle 3 times with a screwdriver, wrong key or whatever, the system kills the vehicle and will not start at all. The only way to remove or defeat the Sentry key is to send the computer back to Chrysler and have them remove the program. The dealer can reset the system, but cannot remove it. And thirdly, it’s very cost effective and easy to install. All 98+ Jeeps should be pre-wired for the module, which makes installation a no brainer and it only costs around $150 when it’s all said and done. 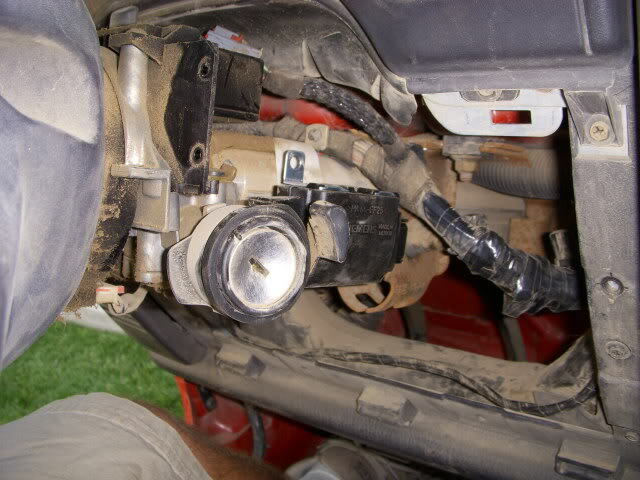 This article will cover an installation of the Sentry Key Immobilizer Module (SKIM) on our 2002 Wrangler X.
Sentry Keys – I bought 3 off e-bay for 9.99 each. Not a bad deal considering the dealer wants $30 a pop. 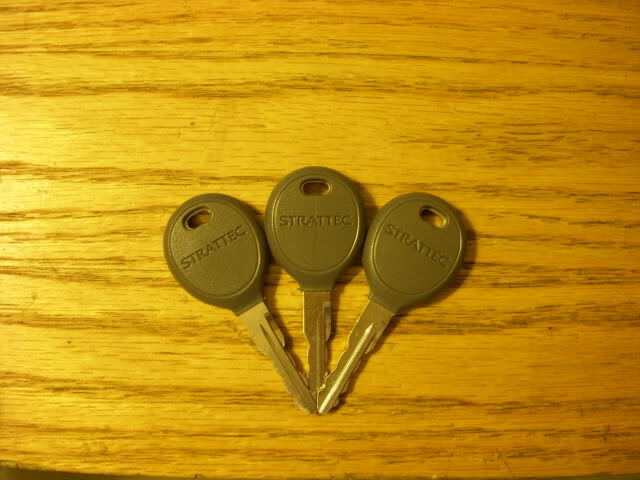 These are made by Strattec, the company that makes the actual “Jeep” keys. There are plenty of keys to choose from, but make sure you buy genuine Strattec keys, or Jeep keys, not some chinese knock offs. SKIM – PN 56010209AD. This is the most current part number for the module. I use Wholesale Mopar for a lot of my Jeep part needs. Their prices are very reasonable and shipping is quick. Cost is $66.43 and $10 to ship. Install Time: 15 minutes, not including time to cut keys or time at the dealership. 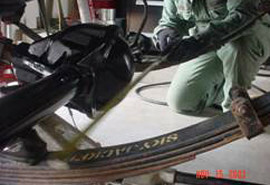 Step 2: Start by removing the knee bolster (part under the column). There are 2 Phillips screws on either side. With the 2 screws out, the 2 pieces snap apart. 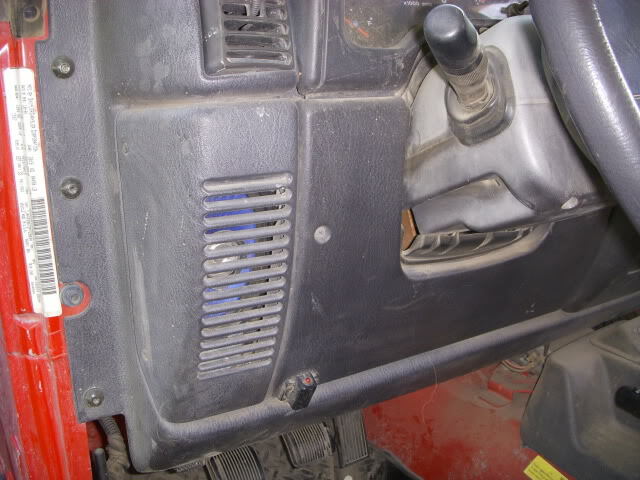 Pull the bottom one down, slide the rubber “boots” up the signal and wiper stalks and the pull up on the upper section. With out tilt, like ours, it has a tab that gets caught on stuff. A little bit of force and it came out in one piece! Step 3: Remove the wiper stalk from the column. 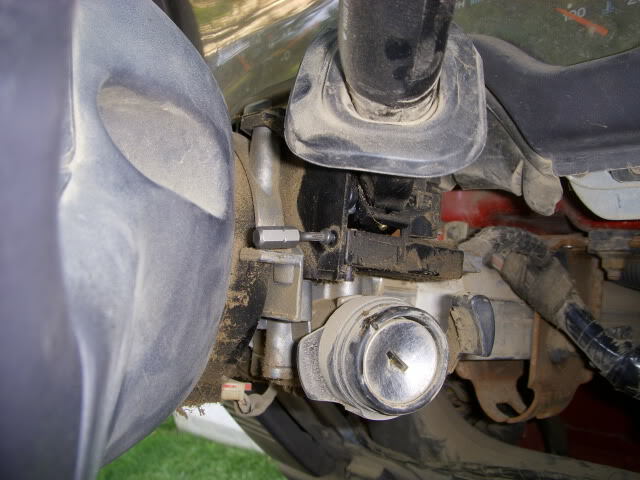 There are 2 T-10 torx holding the unit in place, locate and remove these. I was able to use a small driver style bit and my fingers to remove them. 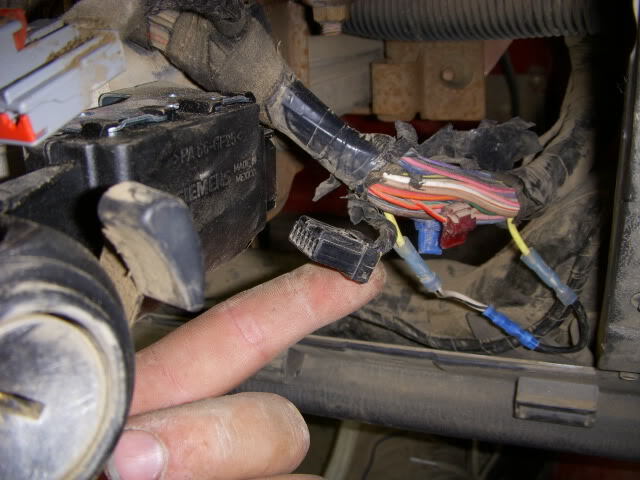 Once the 2 screws are removed, locate and unplug the wiring harness from the stalk. Put the stalk on the passenger seat and tuck the wiring out of the way, for now. 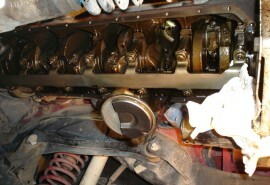 Step 4: Now get your SKIM (the module) and place the “ring” section around the cylinder. You’ll have to rotate the module up a little to get it around the key release if you have a manual trans. I believe the auto equipped Jeeps will not have to do this as they don’t have the key release. During the next couple steps, please be careful with the “ring” section of the module as this is the antenna. I don’t think it’ll work so well being broken. When you finally get this in place DO NOT PLUG THE MODULE IN!!!!! 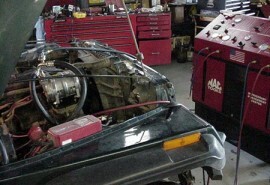 Plugging in the module before having the keys programed will activate the Sentry key program in the Jeep’s computer. It will then act as if someone is stealing it when you try to start. You then get to make a tow truck trip to the dealer instead of a nice drive. With the SKIM in place now rotate it clockwise (down) to about the 4-5 o’clock position. There’s a metal tab that locks into the steering column. Make sure its rotated down enough (see pic below). Now rotate the module counter clockwise (up) until the clip is fully seated. DO NOT PLUG THE MODULE IN!!!!! All installed. DO NOT PLUG THE MODULE IN!!!!! Step 5: DO NOT PLUG THE MODULE IN!!!!! 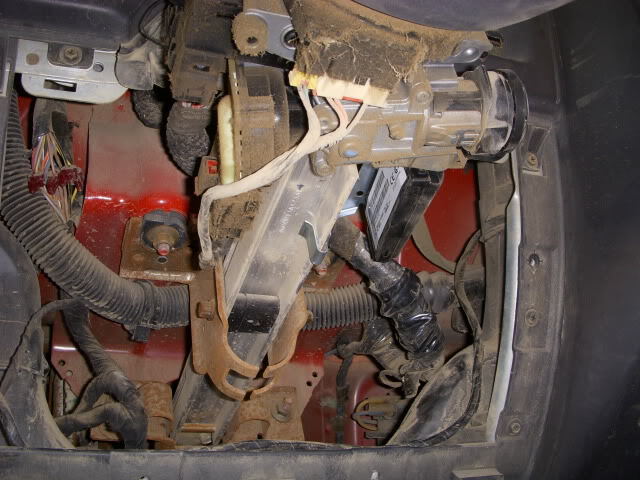 Locate the harness, just so you know where it is when you get to the dealership. 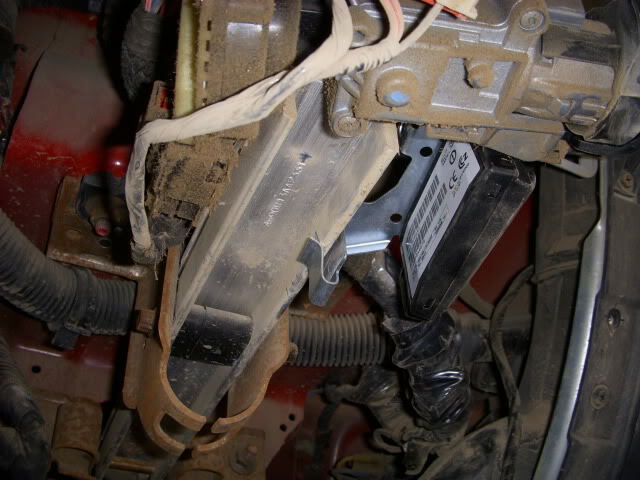 Mine was right near the butcherd harness from the dealer installed “alarm.” DO NOT PLUG THE MODULE IN!!!!! If anybody is wondering I had the whole alarm out and the Jeep running in about 2 minutes. If I was trying to steal the thing I could of had it GONE in 30 seconds, easily. Don’t waste your money on dealer installed alarms! 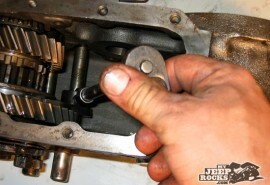 Step 6: Re-install the wiper stalk. Now drive to your friendly Jeep dealer and ask them to program the keys. At this time you can plug in the harness. I opted to keep all the “trim” pieces off the Jeep so I didn’t have to remove anything at the dealership. It would probably be best to call the dealer before hand and explain what you did. My dealer was more then happy to help at a cost of $47.50 for 1 key or 5. Make sure to test all the keys before you leave to insure everything works properly. 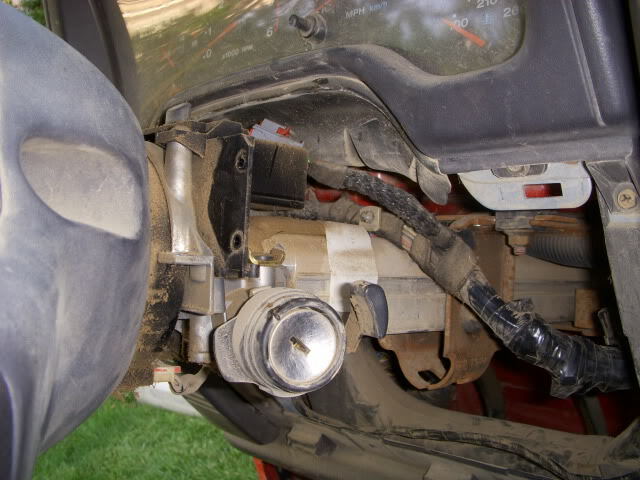 Step 7: Put everything back together and enjoy the piece of mind in knowing your Jeep isn’t going anywhere with out the proper key or a tow truck. Feel free to PM me on MJR if you have any questions regarding this article. Is it possible to remove without any issues? I haven’t tried that, so not sure. If you do please let us know! I have a 2001 Jeep Cherokee Sport with black keys so no SKIM. 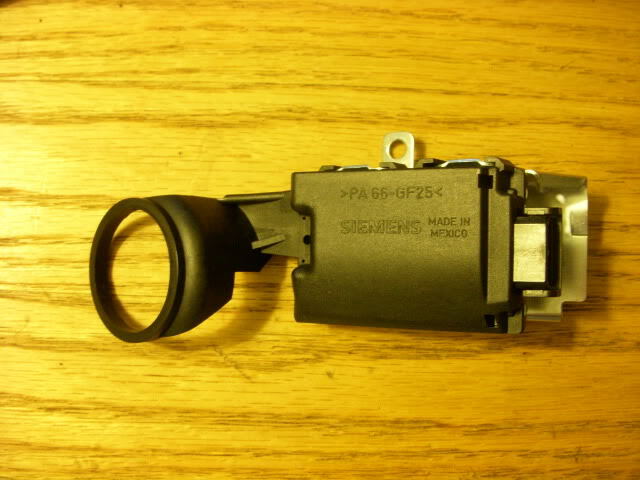 I’d like to add it and confirmed with Mopar that a module with a different part number is available. Can I install it as you detailed or is the procedure different? I spoke with the local dealer parts guy and he told me it couldn’t be added. I he BS’ing me or just ignorant? I’ve emailed the author and asked him!